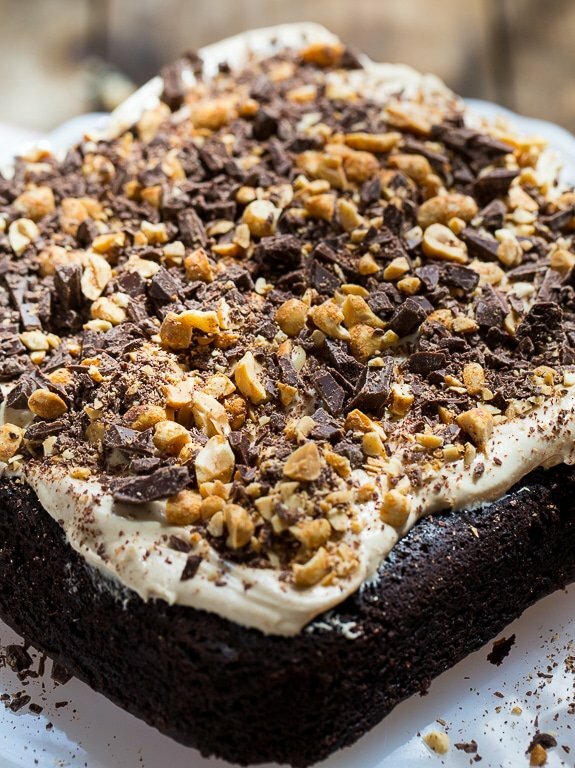 Chocolate Peanut Butter Fun Cake is purely magical for lovers of chocolate and peanut butter. 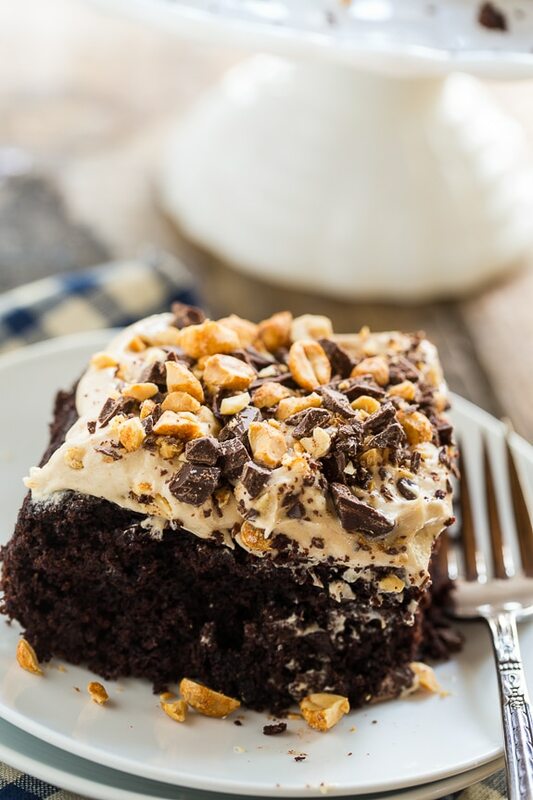 A moist and delicious chocolate cake is topped with a buttery and luscious peanut butter frosting. I love how the top of the cake looks covered in peanuts and chopped semi-sweet chocolate. The cake batter is made from all-purpose flour, sugar, cocoa powder, vegetable oil, water, and finely chopped chocolate. With two types of chocolate, this cake is not lacking in chocolate flavor. Incidentally, the cake batter itself is vegan (although the frosting is not). But if you needed to bake a vegan cake, this batter would be a good one to pair with another frosting. The peanut butter frosting is light and luscious and is not your typical buttercream frosting. It’s made from sugar, egg whites, peanut butter, and butter and it pairs perfectly with the cake. 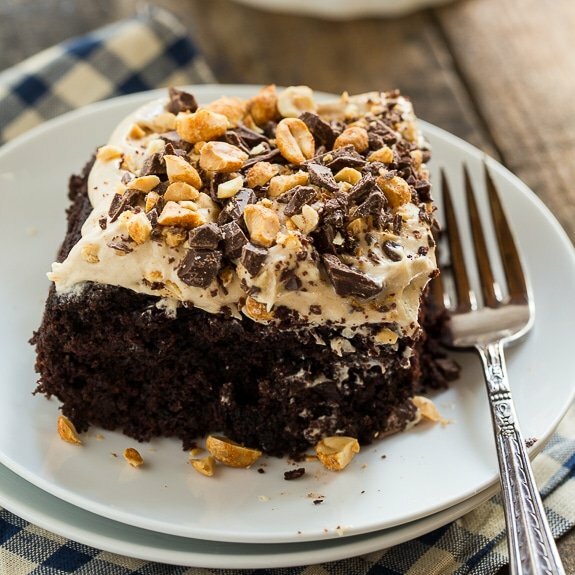 If you’re looking for a chocolate-peanut butter dessert, this cake has fun written all over it! Preheat oven to 350 degrees. Coat an 8-inch square pan with cooking spray. Line bottom with parchment paper. In a large bowl, whisk together flour, sugar, cocoa powder, salt, and baking soda. Add oil, vanilla extract and 1 1/4 cups water and stir until smooth. Fold in 1/2 cup chopped chocolate. Pour into prepared pan and bake for 35-40 minutes. Cool completely in pan. To make frosting, combine sugar and egg whites in a medium metal bowl set over a saucepan of simmering water. Continuously whisk until sugar dissolves and mixture is hot to the touch, about 3 to 4 minutes. Transfer mixture to the bowl of an electric stand mixer and beat with whisk attachment until cool and thick, about 5-6 minutes. Beat in vanilla extract and then peanut butter. With mixer on medium-high, add butter pieces a few at a time. Beat until butter is completely incorporated. Add a pinch of salt. Run a knife around edges of cake and turn it out onto a plate or cake stand. Peel parchment paper off and top with frosting, chopped chocolate, and peanuts. Store airtight at room temperature. 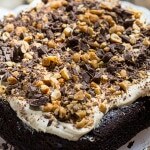 This entry was posted in Cakes, Desserts and tagged cake, chocolate, Peanut butter. Bookmark the permalink. 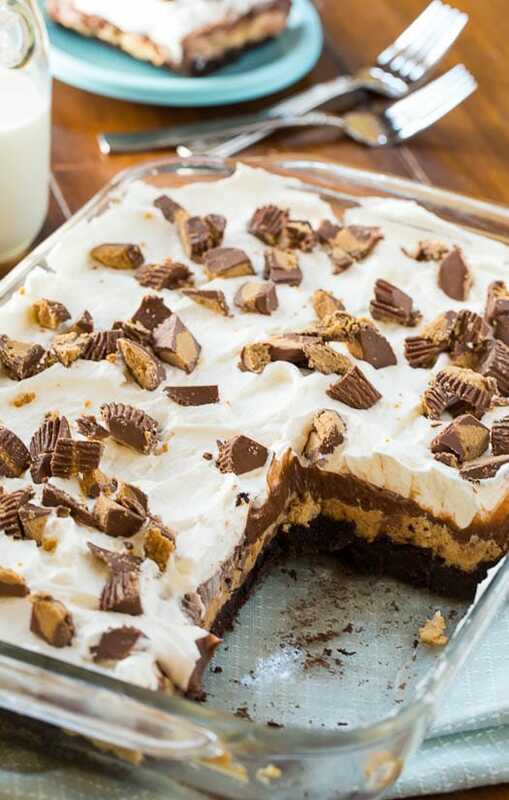 Oh goodness, this is the ultimate peanut butter and chocolate dessert! I love that the cake is vegan too! It looks beyond incredible! This looks off the charts delicious. Pinning immediately!!! I’m so impressed that the cake is vegan! It looks SO good — I can never resist peanut butter and chocolate! Dang! This looks TASTY. You can’t beat the classic flavor combo either. AND it looks soooo moist. This cake looks amaaaaazing!!! Chocolate peanut butter = heaven. Is there anything better?? What I would give for a piece of this cake right now!! It looks fantastic! 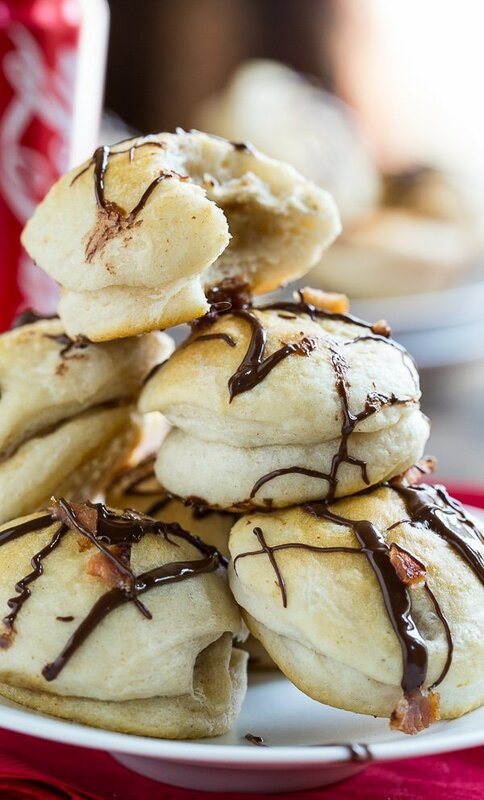 Peanut butter + chocolate is the best! I love the name of this cake, Christin! 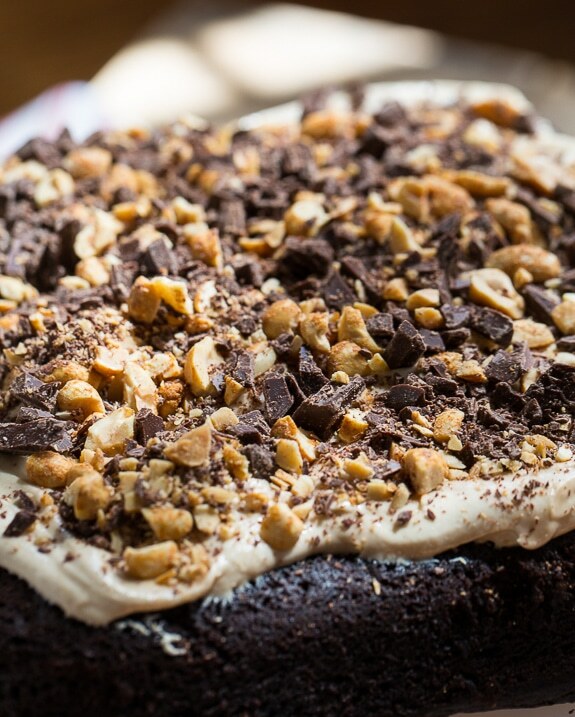 Chocolate and peanut butter really make the best combination. And that frosting is just begging to be eaten! This looks amazing! 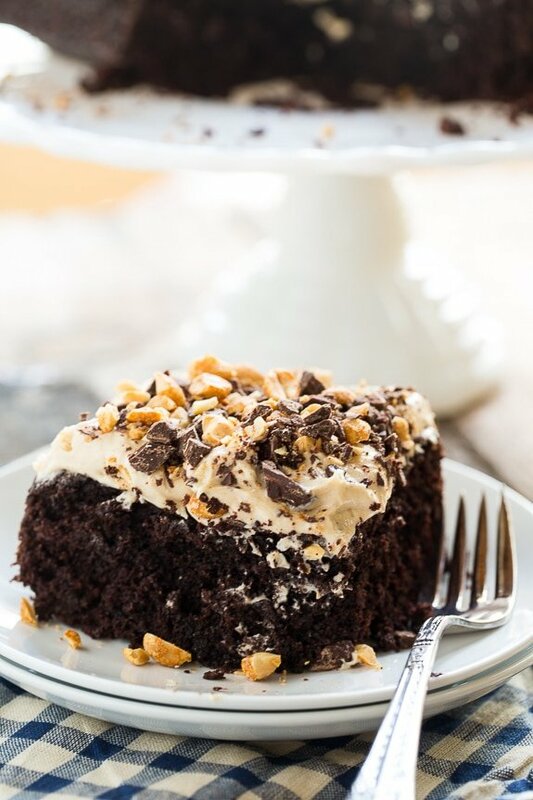 I love the chocolate/peanut butter combo and this definitely looks like fun cake 🙂 Pinning!